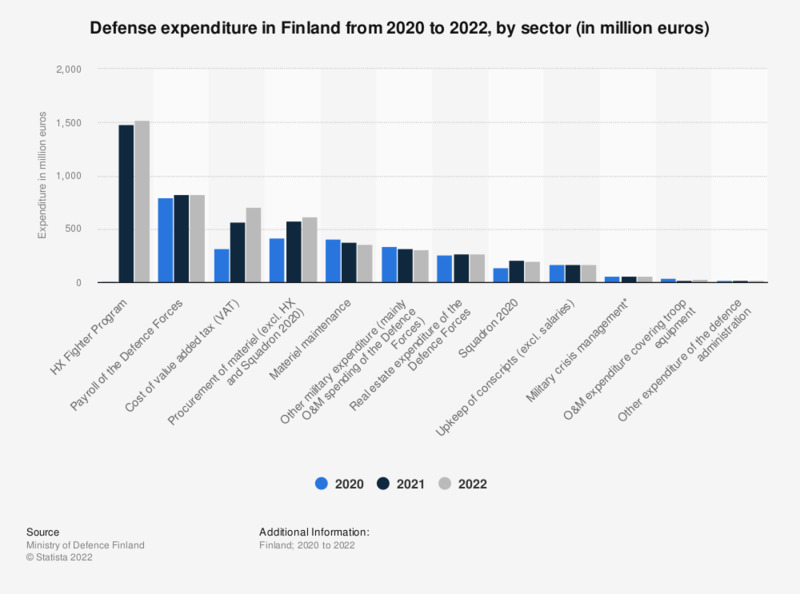 This statistic shows the total defence budget breakdown for Finland from 2017 to 2019, by sector. The largest estimated expenditure in 2018 was payroll of the Defence Forces, amounting to roughly 770 million euros in 2018. The amount budgeted for military crisis management was expected to increase over the shown period, with nearly 60 million euros proposed for 2019. * Budget estimate. ** Budget proposal.